What’s worth seeing when you travel to Kashgar, the ancient Silk Road oasis in China’s western Xinjiang region? Kashgar has been and continues to be a favorite stop for tourist along the Silk Road. It is home to a rich Uyghur culture, buzzing Central Asian markets and plenty of regional history. Here’s where I recommend you spend your time. Kashgar was – and to some degree still is – the gateway between Central Asia and China. Various cultures, religions and products were transmitted through this bustling town via merchants, travelers and soldiers. It’s amazing to think that it’s only been over the past decade that Kashgar has seen any significant development. The modernization hasn’t been without controversy, but thankfully there’s still plenty to draw tourists to this remote, western edge of Xinjiang. 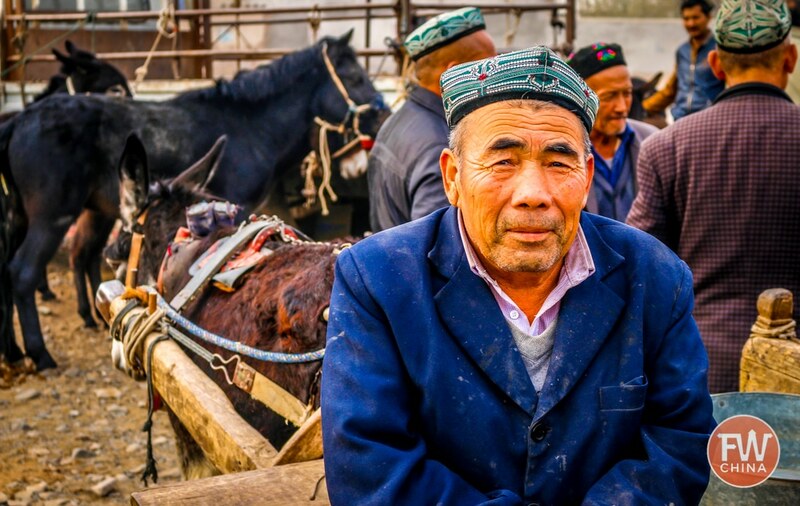 Over the years that I’ve traveled to Kashgar, I’ve had the opportunity to explore a good portion of the region – much of which doesn’t make the average tourist itinerary. For those who are planning to travel to Kashgar, I’d like to share a few recommendations of places I believe are worth visiting. REMEMBER: If you plan to travel to Kashgar, I highly recommend you grab a copy of the FarWestChina Xinjiang travel guide. It’s the most comprehensive and up-to-date guide on the entire region, not just Kashgar, and is perfect to help you plan your trip. Thanks for your support! You can scroll down to read through the list of recommendations, but in order to get a visual of what I’m talking about, take a few minutes to watch this video first. We publish awesome, weekly videos…subscribe to FarWestChina on YouTube! When traveling to Kashgar, it’s almost impossible to miss the Id Kah Mosque in the center of the city. The yellow-tiled structure is the largest in China and the city’s most iconic building. While tourists can pay a small fee to enter the mosque (20 RMB), there’s not much to see inside except empty space. The primary draw is the bright yellow facade where everybody stops to take pictures. If at all possible, try to time your visit to Kashgar during a major Muslim holiday such as the end of Ramadan or the Qurban festival. 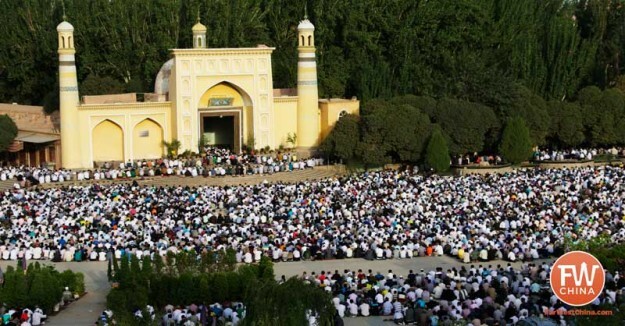 On these holidays, tens of thousands of Uyghur from all over southern Xinjiang gather for prayers. It’s an interesting sight, even if you’re not Muslim – and if you don’t believe me, just take a look a this. The next obvious stop in Kashgar is the Kashgar Old City, a collection of narrow alleyways that zig-zag through mud-brick buildings. 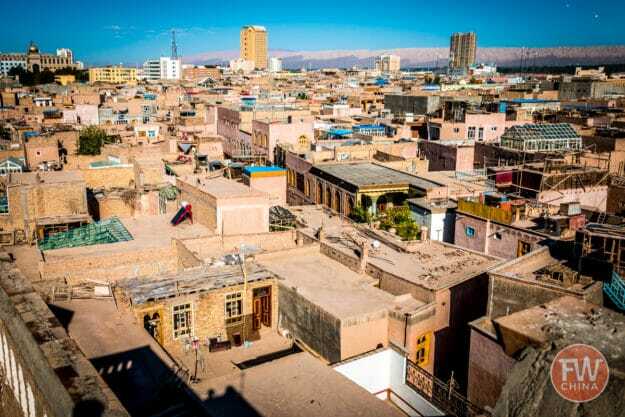 Most historians agree that this old portion of town has a history of over 2,000 years and holds a special place in the heart of the Uyghur in Kashgar. Fortunately or unfortunately – depending on your view – in 2009 the Chinese government decided to bulldoze most of Kashgar’s Old City. The international community made a lot of noise in protest but to little effect. The rebuilding of the Old City is mostly complete and still remains a popular tourist attraction. However, not all of the Old City was demolished. There’s still a portion of the original Old City that can be found on the east side of Kashgar, just behind Kashgar’s Sunday Bazaar. It has created what I like to call a “new” Kashgar Old City and an “old” Kashgar Old City. Both are interesting in their own regard and worth a visit while you’re in Kashgar. Shipton’s Arch is a relatively new addition to Kashgar’s slew of destinations that attract tourists. The reason is as simple as it is crazy – up until the year 2000, Shipton’s Arch was still “undiscovered”. This is the world’s tallest natural arch and the story of its discovery in 1947 and rediscovery in 2000 are definitely worth a read. 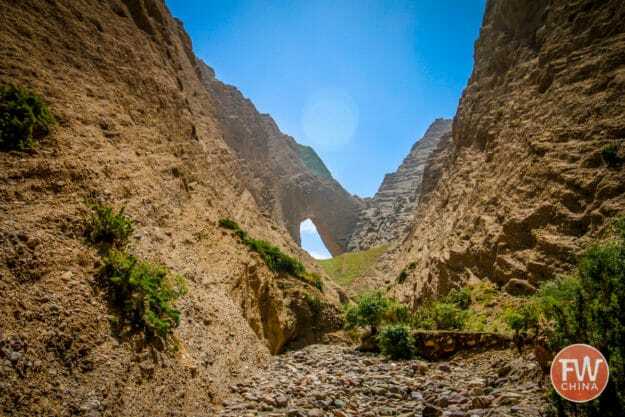 It used to be an arduous, multi-day trek to visit Shipton’s Arch from Kashgar but now, thanks to paved roads and some nice new staircases, it’s a day trip for travelers. 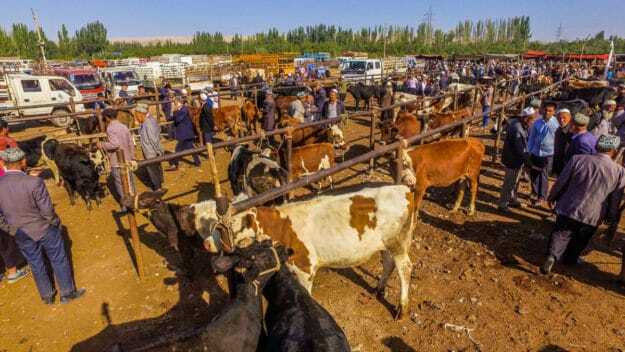 Every Sunday, residents from all across Kashgar and the surrounding villages gather in two places: the Kashgar Sunday Bazaar and the Livestock Market. It used to be that these two markets were located together on the east side of town, but over the past decade as the city has grown, the smell of all the animals and the traffic congestion it caused forced city officials to move the livestock market outside town. Even though they are now quite a distance apart, I highly recommend you get started early on Sunday to visit both markets. At the livestock market you’ll come across all sort of animals being bought and sold – cows, yak, sheep, camel, horses…you name it. It’s also fun to watch the Uyghur men use this time to socialize just as much as they do business! 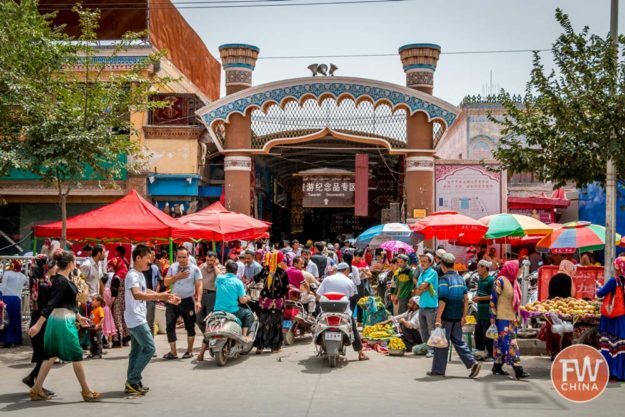 In contrast, the Kashgar Sunday Bazaar is a colorful place where people come to buy cloth, household goods and pretty much anything else one might need. It’s a raucous, festival-like atmosphere that you don’t want to miss. Learn how to travel from Urumqi to Kashgar. 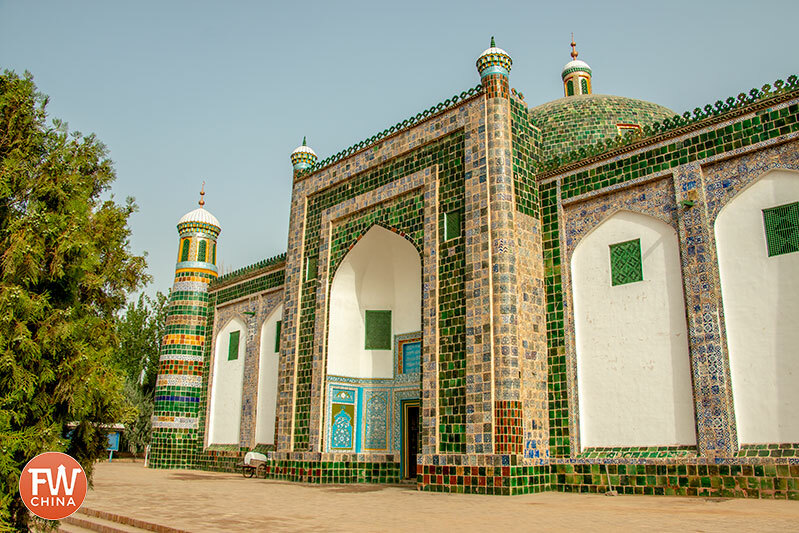 About 5 kilometers outside of town, a green-glaze tiled mosque sits quietly next to an old Uyghur cemetery. This is the Apak Khoja Mausoleum, a building that was first erected in 1640 to honor Apak Khoja and his family. Five generations are now buried inside this mausoleum, most of which can be seen when you walk in the building (almost 1/3rd of the tombs were lost in an earthquake a while back). What some say make this place worth visiting though, is the story of the Fragrant Concubine. The Chinese version of the story presents a romantic unity between the Chinese Emperor Qianlong and the beautiful grand-daughter of the Apak Khoja. The old Uyghur version of the story presents her as a defiant and unwilling subject to the emperor. The truth is that either way…she wasn’t buried in Kashgar. She was buried in Beijing. Still, the beautiful tiles and interesting architecture of the Apak Khoja Mausoleum and surrounding mosques still make it worth a visit in my opinion. Finally, a visit to Kashgar isn’t complete without taking time to drive up the Karakoram Highway. Ask anybody who’s made the journey and they’ll tell you – it is a spectacular journey. 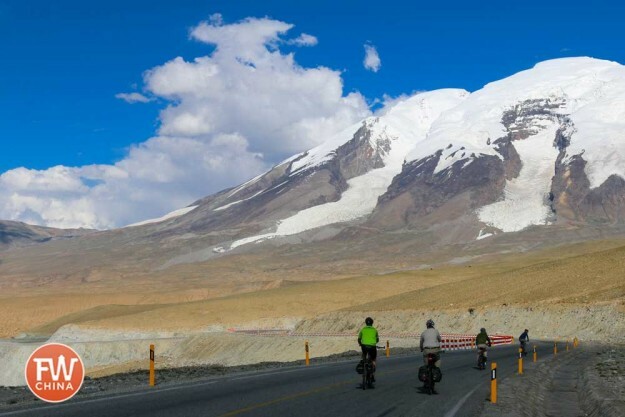 Whether you decide to drive or bike down the Karakoram Highway, you’ll still be treated to breathtaking views of the Pamir Mountains, White Sand Lake, Karakul Lake and the grasslands of Tashkorgan. If you make it all the way to Tashkorgan, you’ll have the opportunity to climb the walls of the ancient Stone Fort, wander the lush grasslands and perhaps even watch a fascinating game of Buzkashi – a game that uses a headless goat carcass for a ball! While a trip to Karakul Lake can be done in two days, I highly recommend you budget 3-4 days, enough to spend time in Tashkorgan as well. I have no doubt that no matter what you decide to do, you are going to love your trip to Kashgar. 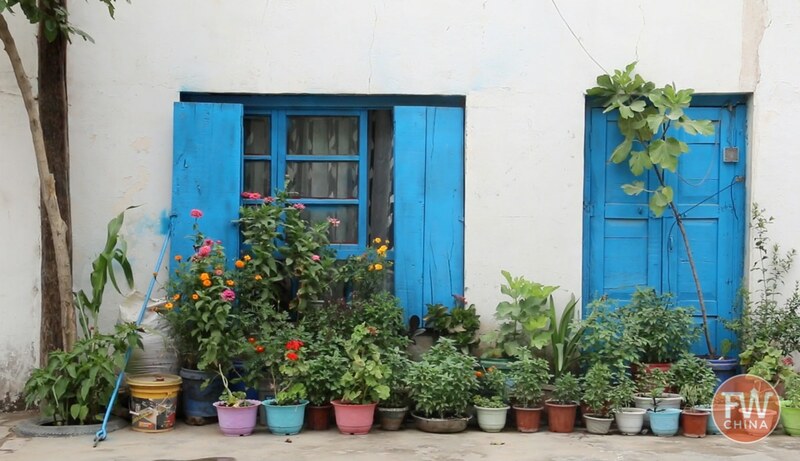 There’s a reason that so many people enjoy coming here – it’s not just the history, it’s the deep connection with the Uyghur culture as well. Of course, there are plenty of other places you can visit in and around Kashgar – the Tomb of Yusup Has Hajib, Opal village and the Ancient City of Hanoi to name a few – but these should only be considered if you have a special interest or extended time. In any case, you can learn everything you need to know in the FarWestChina Xinjiang Travel Guide, the most comprehensive guide to Xinjiang that you’ll find on the market with over 400 pages, custom maps and personal recommendations. Download a free chapter to see if it’s right for you! 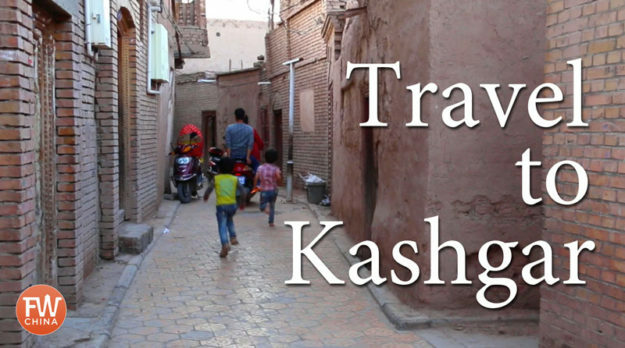 Finally, if you’ve been to Kashgar, leave a comment below to let me know your favorite place to visit! Travel Kuqa | What's Worth Visiting? Great video, like others you have posted. Keep up the great work. Thank you, Sam! I’m glad you enjoy them. GeeJosh you did not show the giant statue of what’s his name! I have been to Kashgar but just only three days in a rush. Well, I was alone traveling in the city and looking for fig trees, unfortunately the road was blocked and the taxi had to drive me back to the hotel. I love to travel to Kashgar again, provided the time allow me to plan so. Finally, my last trip are Urumuqi , Kashgar and Hetian. Well, I hope you have a chance to head to Kashgar again. I think it’s well-worth the trip. Loved watching and remembering when we’ve been to those place, minus Shipton’s Arch! Great memories of places, and even better, the people! Absolutely! How incredible that you had such a great opportunity to be there. Excellent presentation as always Josh. I’ll see you in 2017 because I’m already booked in Kashgar in August and September! Hi Josh, great video, hope to visit Kashgar next season, Keep up the good work! Your post is truly captures the beauty of Kashgar! Hallo Josh, I call from Italy and sorry for my english but I won’t ask you some information about a tour in China. -is possible enter in China by our own car and drive it? -My dream is enter from Tajikistan and have this tour: Kashgar-Turfan( I visited this cities in ‘1990) Juquan-Ejin-Lega dell’Alxa-Xian( visited in “90)-Dunhuang-Hotan-Ngari-Lahsa( visited in ’89)-Nepal. You think is possible doing this tour?